On behalf of the Executive Board, we are pleased to announce the June 11th, 2010 ASE Statewide Conference featuring Nationally Recognized Keynote Speaker Myrna Mandlawitz, Esq. and State Experts Mary Joann Reedy, Esq. and Marcia Mittnacht, State Director of Special Education (MA). We have attached the program and registration form for the Spring Conference: " National and State Affairs:" Up to Date " News and Information" to Enhance Leadership and Accountability in Special Education Practice. We encourage early registration. Space is limited. Registrations received after May 26, 2010 may not be able to be honored. We are proud of the program content and especially pleased to be presenting the Conference’s National Keynote Speaker and State Experts. Please join us in a day of National and State Up-to-Date News and Information regarding Special Education on June 11th at the Best Western Royal Plaza Hotel and Trade Center Marlborough, MA. The Federation for Children with Special Needs invites administrators of special education to form a team with 4-5 parents and join us for our Advancing Parent-Professional Leadership in Education (A.P.P.L.E.) Institute. Event Dates: May 12-14, 2010. SPaN invites special education administrators across the Commonwealth to attend the event: April 27th, 2010. The 2009-2010 ASE Conference Series will be targeted to professional development topics that are relevant, timely and informative to special education administration and implementation. ASE encourages all interested parties to complete the ESE Survey and submit to the ESE 12/1/09- this is an important effort. Conference Information: "Meaningful Connections: No Assessment Left Behind - Ensuring Effective Linkage of Assessment and Intervention "
A conference for those working in the field of early childhood education with at risk and typically developing children from birth to age six and their families. Conference Information: "Setting Sails and Staying on Course"
The 2009-2010 membership applications are here. (7/9/2009) Legal Updates from Murphy, Lamere & Murphy, P.C. Rep. Sciortino represents the 34th Middlesex District and serves as the Vice Chairman of the Joint Committee of Transportation, as well as serving on the House Committee on Ways & Means and Joint Committee on Health Care Finance. He is deeply committed to working for families and has been a tireless advocate for issues of social and economic justice and supports legislation ensuring adequate resources to help all students achieve high standards. Please mark your calendars—June 12. Program and Registrations will follow and be posted on the ASE Web site (www.asepage.org) on or before April 2nd, 2009. All conference participants must have a completed registration form for each ASE conference sent to the ASE office. The ‘08-’09 school year has been incredibly dramatic with many new challenges and opportunities for school districts. 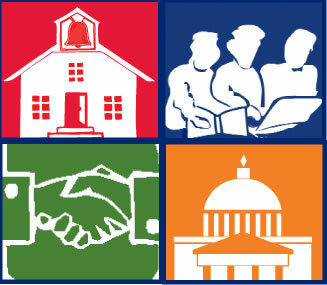 The Spring Conference will focus on information regarding new laws and updates which will influence (2009-2010) district capacity in serving students with disabilities. We look forward to seeing you on June 12th, 2009 at the Annual ASE Spring Statewide Conference. On behalf of the ASE Executive Board, we look forward to seeing you in the spring! On behalf of the ASE Executive Board , we are proud to announce the Program for the March 6th, 2009 ASE Statewide Conference? " Collaborations and Promising Practices: National Trends- State Implications" Featuring Nationally Recognized Keynote Speaker Dr. Steve Kukic and Experienced /Highly Regarded Massachusetts Professionals , Dr. MaryAnn Byrnes, Dr. James Earley and Atty. MaryJoann Reedy. Attached for your convenience is the Program, Letter and Registration materials . We encourage early registration. We hope the start of the New Year is going well for you and wish you and your family all the best in the New Year. The March 6th ASE Statewide Conference Program is a wonderful opportunity - we look forward to seeing you on March 6th . See Important information from Commissioner Chester regarding USDOE Finding for the BSEA. Please let ASE know your thoughts regarding the matter, by fax (617) 354-4926; input received by January 30th is greatly appreciated. Additionally, if you have any questions, please contact Associate Commissioner Jeffrey Wulfson at 781-338-6500. Subject: Message from Commissioner Chester; "Special Education Observation Advisory"
Please see the following important message from Commissioner Chester regarding Special Education Advisory : Technical Assistance Advisory SPED 2009- 2- the Advisory sent in earlier email today. Thank you. As many of you already know, a new law goes into effect tomorrow (Thursday) concerning observations of special education programs by parents and designees. It is designed to support effective practice as parents seek to secure the information they may need to make informed decisions on behalf of their children and as schools seek to ensure the integrity of their programs and the safety of all the children they serve. Passage of the law has raised many questions in the field. To assist you in responding to those questions, Deputy Commissioner Karla Baehr convened a meeting of stakeholders to explore issues surrounding observations. That conversation informed the attached advisory memo (dated January 8, 2009) from State Director of Special Education Marcia Mittnacht, which we hope will offer useful guidance as you review your policies and practices regarding parent requests to observe special education classrooms and programs. We welcome your questions, comments and suggestions over the next several months. We will review all that we receive by June 30 and determine then whether additional guidance or regulation may be required to provide greater clarity and direction. Subject: Into Effect January 8th, 2009: Technical Assistance Advisory SPED 2009-2: Observation of Education Programs by Parents and Their Designees for Evaluation Purposes. As many of you know , the legislature recently amended section 3 of G.L .c 71 B , the state special education law, to require school committees, upon request by a parent , to grant timely and sufficient access by parents and parent-designated independent evaluators and educational consultants to a child's current and proposed special education program so that the parent and the named designees can observe the child in the current and any proposed program. The law goes into effect today, January 8th, 2009 . Attached is Technical Assistance Advisory SPED 2009-2: Observation of Education Programs by Parents and Their Designees for Evaluation Purposes, received today from Massachusetts State Director of Special Education, Marcia Mittnacht . This is important and timely information regarding "the observation law" for school districts. Please review, share with your Superintendent and school teams . ESE will be accepting comments regarding this advisory until June 30th, 2009 . We encourage you to make comment in writing to ESE to Marcia Mittnacht- mmmittnacht@doe.mass.edu by June 30th, 2009. The Membership application form for the upcoming year is now available on-line.